Dr. Donna A. Pontoriero is in private practice at Pontoriero Chiropractic Center located on Franklin Avenue in Nutley. She has served the Nutley community since 1999. She has also been listed on NJTopDocs website for 2008, 2009, 2010, 2011, 2012, 2013 and 2014. In 2012 Dr. Pontoriero was honored to have been chosen as Chiropractor of the Year with the John Crecco foundation. She is a graduate of Life University, School of Chiropractic located in Marietta Georgia. Dr. Pontoriero is a certified Injury Prevention Consultant with Future Industrial Technologies, and is a First Aid and CPR instructor. She is also a diplomate of the National Board of Chiropractic Examiners and previously served on the 1996 Atlanta Committee for the Olympic Games. She has successfully completed Level 1 training from the Autistic Research Institute as well as many continuing education courses in nutrition, chiropractic adjusting technique, nutrition for sports injuries and many others. 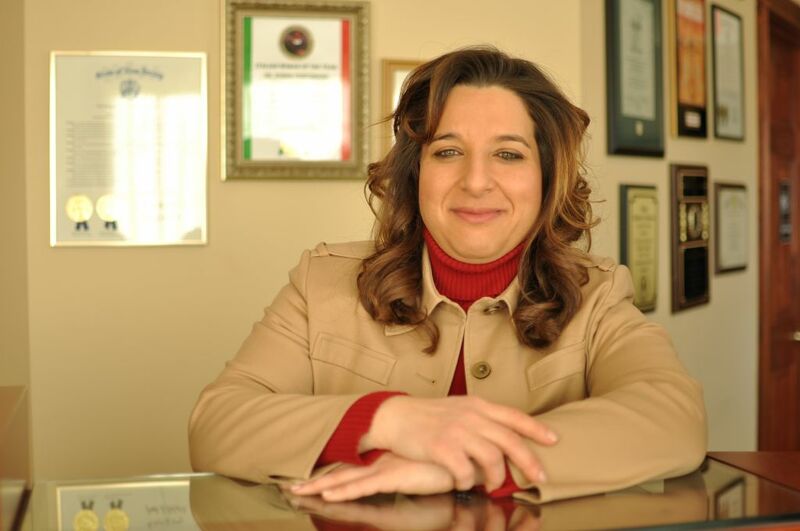 Dr. Pontoriero served as the President of the Nutley Chamber of Commerce from 2005 to 2008 and as Vice President from 2002 to 2004. She remains active with the Chamber as a board member. Dr. Pontoriero also serves on several other community organizations in Nutley, such as the Municipal Alliance Committee and the Women’s Initiative of Nutley Committee. She also previously served on the Board of Directors of the Montclair, Glen Ridge, and Nutley Chapter of the American Red Cross and was co-chair of the Blood Services Committee. Dr. Pontoriero has had the distinct honor of being selected to be a Lifetime member of the National Registry of Who’s Who. In 2004 she was selected by the Consumer’s Research Council of America as one of America’s Top Chiropractors. And again in 2009 and 2010. In 2005 she received the Nutley Jaycees Distinguised Service Award for Outstanding Young Adult. She was also the recipient for the 36th Legislative Districts Female Business Owner of the Year for 2006. She has also been list on NJTopDocs website for 2008, 2009, 2010 and 2011. In 2009 she was honored by being chosen to be Nutley Woman of the Year by The Nutley-Belleville Columbus Day and Italian Heritage Month Parade Committee. And most recently Dr. Pontoriero was list in the June 2011 issue of NJ Health and Beauty magazine’s special series of NJ Doctors Who Make a Difference.